Paintings that will suit you to a tee. We have recently acquired seventeen sporting works of art by the famed St. Louis painter, Fred Conway. These paintings would make a welcome addition to any collection. 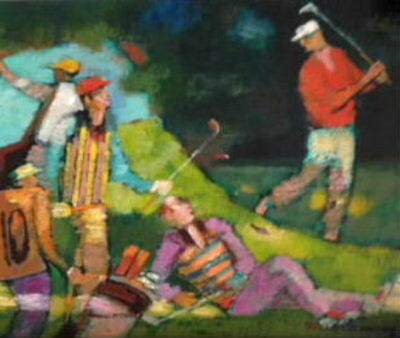 Among the acquired works are twelve golf scenes, one tennis scene, one boxing scene feauring Ali, as well as sculpture.